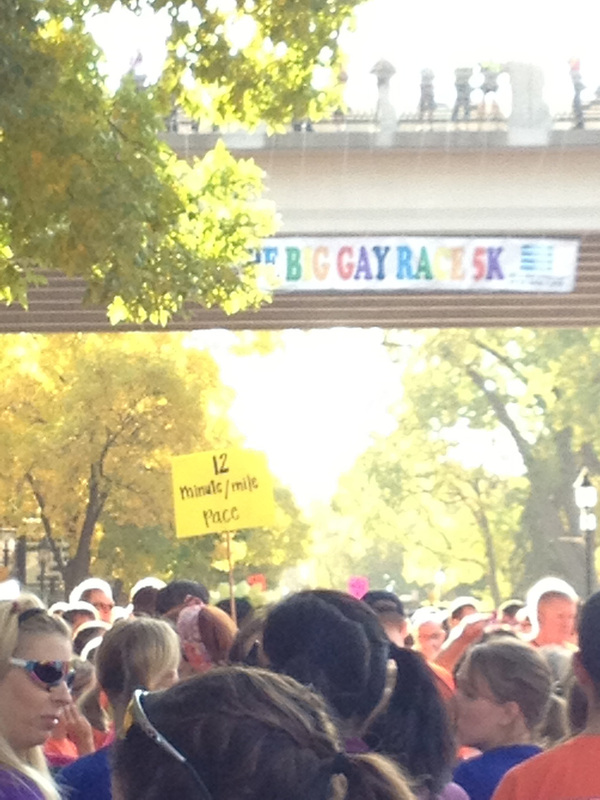 the gay race was so fun! megan and i ran a little, walked a little, ran a little, walked a little, ran a little. 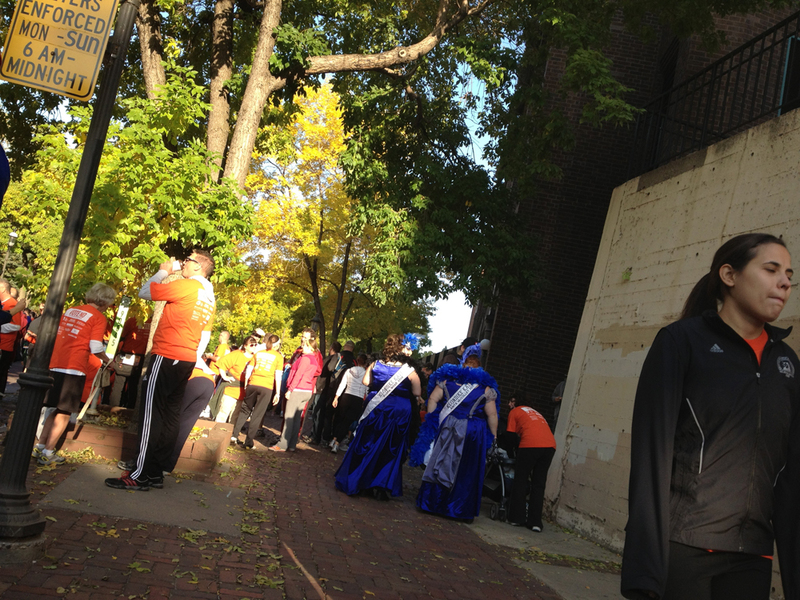 i was hoping or some drag queens, but no such luck. 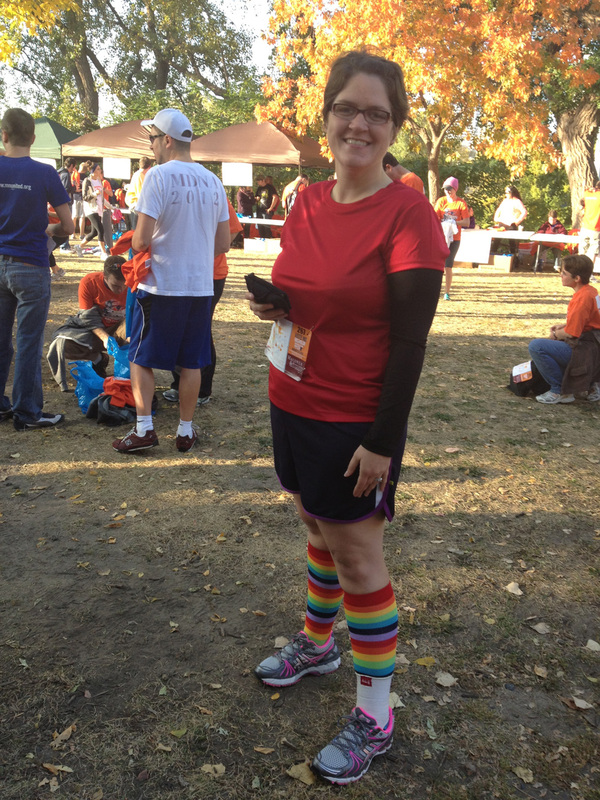 there was someone dressed up as a unicorn (running in the 10-minute mile group…). 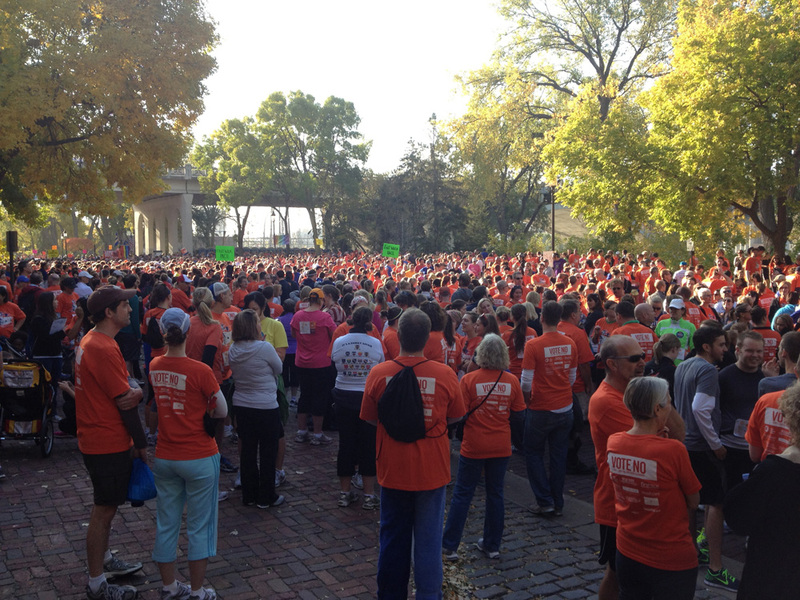 there were so many people there, most people wearing the orange race shirts, which have become the official colors of the vote no brigade. we saw some bennies! and some interesting outfits! and a couple klondike kates! go bennies (including megan!)! today’s homecoming, too! and i got to use my new panorama features on ios6! if you click on it, it’ll go to the larger version. megan hadn’t run in a month! 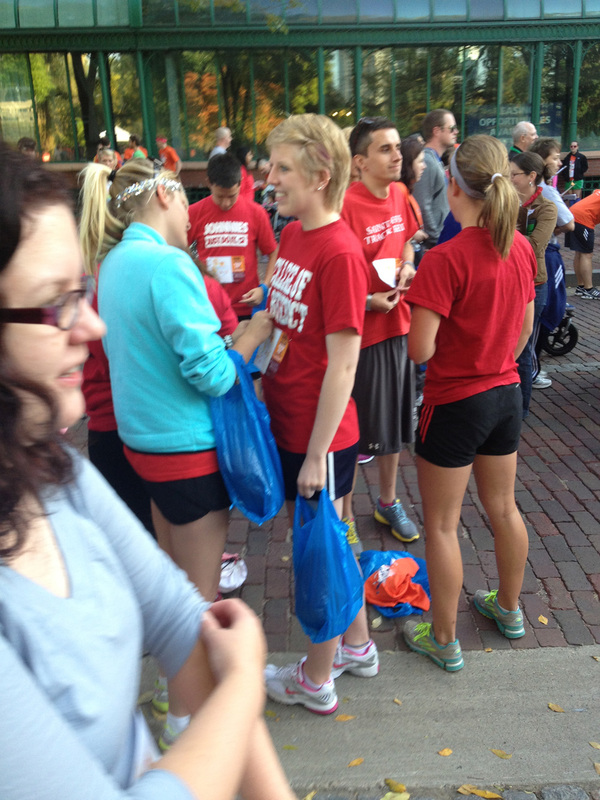 she thought she would do some running, so we stood in the back of the 12-minute mile runners, before the fast walkers. 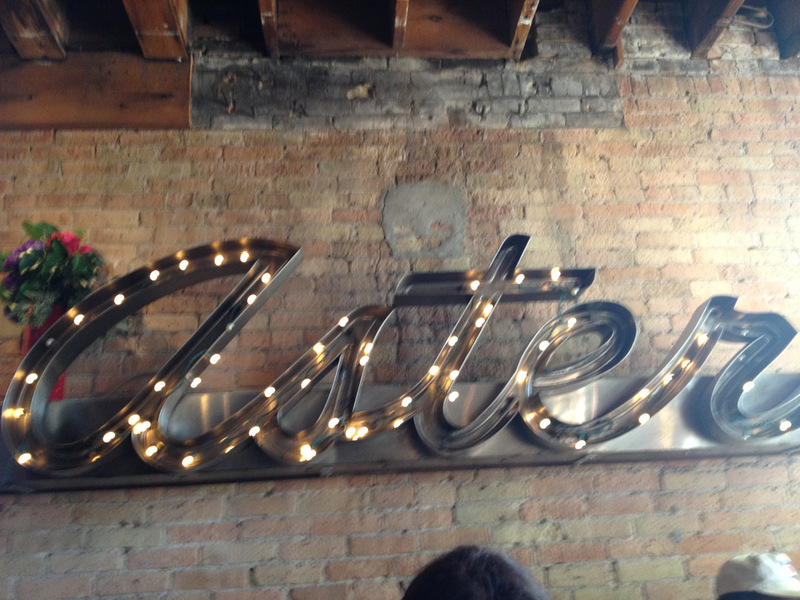 then afterward, after getting a granola bar, cupcake, cookie and some water, we went to eat at aster, which was really good! i heart your new shoes! they’re cute!